nIt is very likely that the Real Estate prices in the country will shoot up further with the Finance Ministry’s decision of not withdrawing 2.5% service tax. This move was proposed by the Urban Development Ministry in the budget of FY10-11. 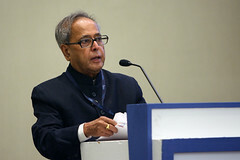 This entry was written by , posted on July 9, 2010 at 8:31 am, filed under Property News and tagged Budget, Common Knowledge, Construction Projects, Declination, developers, Development Ministry, Dreams, Finance Minister, Inflation, Jaipal Reddy, Middle Class, Pranab Mukherjee, Real Estate Prices, Shock, Spheres, Urban Development. Bookmark the permalink. Follow any comments here with the RSS feed for this post. Trackbacks are closed, but you can post a comment.